Here at Flex Technologies, we are dedicated to providing the best quality product that we can, and at an affordable price. We've been in the industry for years, and realized early on the importance of market globalization. Because we've tailored our company for global manufacturing from the beginning, we are able to process huge orders across the globe with an extremely high rate of customer satisfaction. 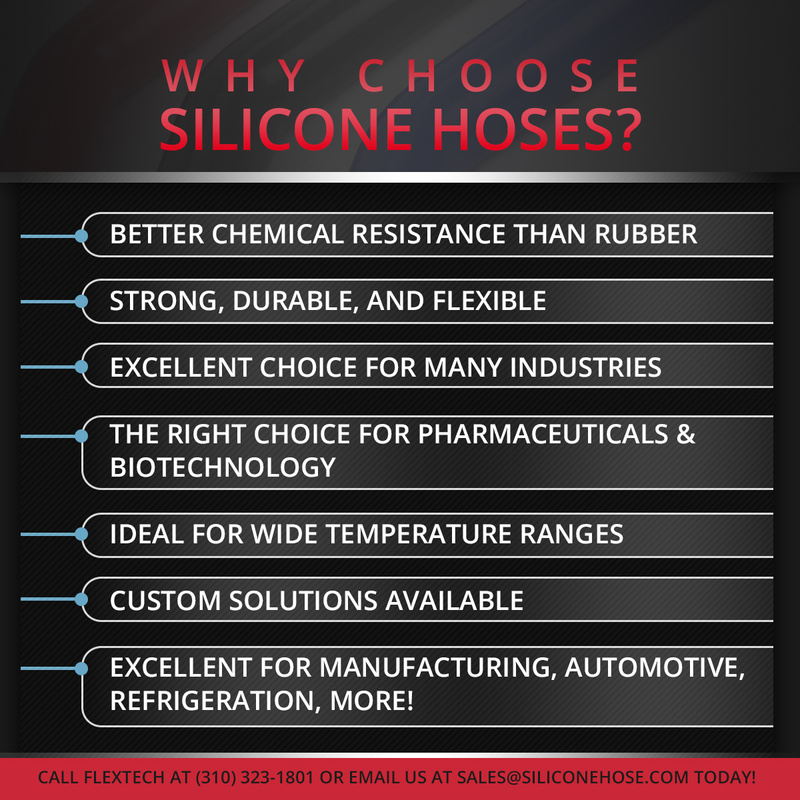 We are the go to source for high quality silicone hoses, tubes and ducting systems. Not only that, but we strive to help you through every step of buying process to ensure that you are satisfied with your order. Our products adhere to the strict product quality standards of ISO 9001:2015 and IATF 16949:2016 . If you need help with your design, our team of expert engineers can help you with that. Once your specifications have been met, we take care of everything from manufacturing to shipping, ensuring that you get the high quality product you ordered in a timely manner. Client satisfaction is our number 1 goal, and we're committed to meeting it. We also offer wholesale options for distributors that are tailored to your specific market requirements. Just complete the form on the link, and one of our knowledgeable, friendly representatives will be in touch with you within 24 hours. Since our conception in 2003, we've been hard at work perfecting our products and services to put our company a cut above the competition. We know it shows in every silicone vacuum and radiator hose we ship. As a trusted multinational OEM supplier, you can rest assured that you will receive your product according to your specification in a timely manner. For more information, don't hesitate to give a call. We will be happy to answer any questions you may have.